Investors hope to create a hub system in the Russian regions with enough traffic – but not without government support. 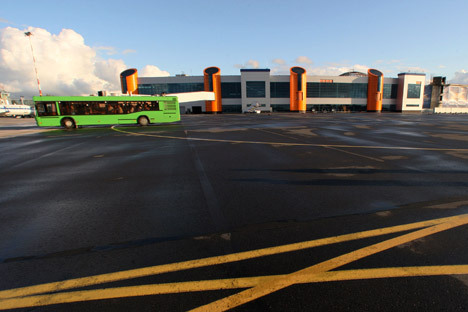 Large Russian investment companies have been actively buying regional airports, hoping that the future of Russian air travel lies in an increase in connecting flights. Should the regional air transportation system receive sufficient state funding, Moscow airport hubs will face new competition. Today Russia already boasts three large airport holdings that control the regional airports with the highest passenger traffic. They are the airport division of Viktor Vekselberg’s Renova; Basel Aero, part of Oleg Deripaska’s Basic Element; and Novaport – a subsidiary of Roman Trotsenko’s AEON Corporation. Together these holdings control 15 regional airports, some of which are expected to become full-fledged hub airports. Four of these are: Koltsovo in Yekaterinburg, which is controlled by Renova; Tolmachevo in Novosibirsk (owned by Novaport); the Krasnodar airport (owned by Basel Aero); and Samara’s Kurumoch Airport, which was taken over by Renova early this summer. The prospects of these airports stem not only from their influential private owners, but also from their treatment by the government – which owns all runways. The government is likely to invest in the restoration of runways at airports that have large private investors. Other airports rely completely on financing from federal and regional governments. Today the transport infrastructure that connects Russia’s regions is tied to the Moscow Air Cluster (MAC), which is inefficient not only for the consumer, but indirectly to the economy as a whole. If a traveller needs to fly from Kazan to Samara, which are 180 miles apart, he or she will have to travel via Moscow, which is over 600 miles away. Upgrading the key regional airports in the future will make it possible to use state grants to encourage airline carriers to increase the number of connecting flights to neighbouring cities and to develop transport connection between regional centres, bypassing Moscow. This year the government allocated 1 billion roubles ($31 million) for financing of interregional air transportation. This is the first step toward the creation of a hub network with a decreased dependence on the Moscow Air Cluster. Airport holdings began developing in 2007. About 200 out of Russia’s 300 operating airports are of no interest to private investors due to their low passenger traffic. Only several dozen of Russia’s airports are considered to be good investments, since they have passenger traffic of at least 500,000 people a year, or the potential to reach that level. Analysts are confident that the government will coordinate plans for runway upgrades more closely with those of private investors in airport development. “The government doesn’t want to invest in a high-level runway with poor airport infrastructure. To ensure that the whole range of work is done, it gives the priority to the projects backed by private investors,” said Evgeny Chudnovsky, director general of the Koltsovo Airport. This text has been abridged from the original, which can be read in Russian in Expert magazine.